Fed up with unimaginative cheese on toast? 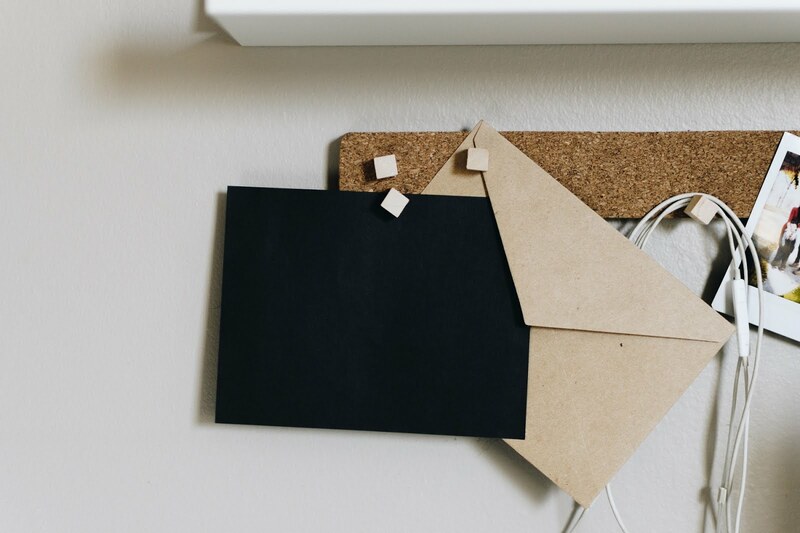 Here's a way you can jazz it up, with very little cost or effort! This lunchtime recipe is super-simple to make and can be adapted to use up all kinds of left overs you may have languishing, unloved, in your fridge. 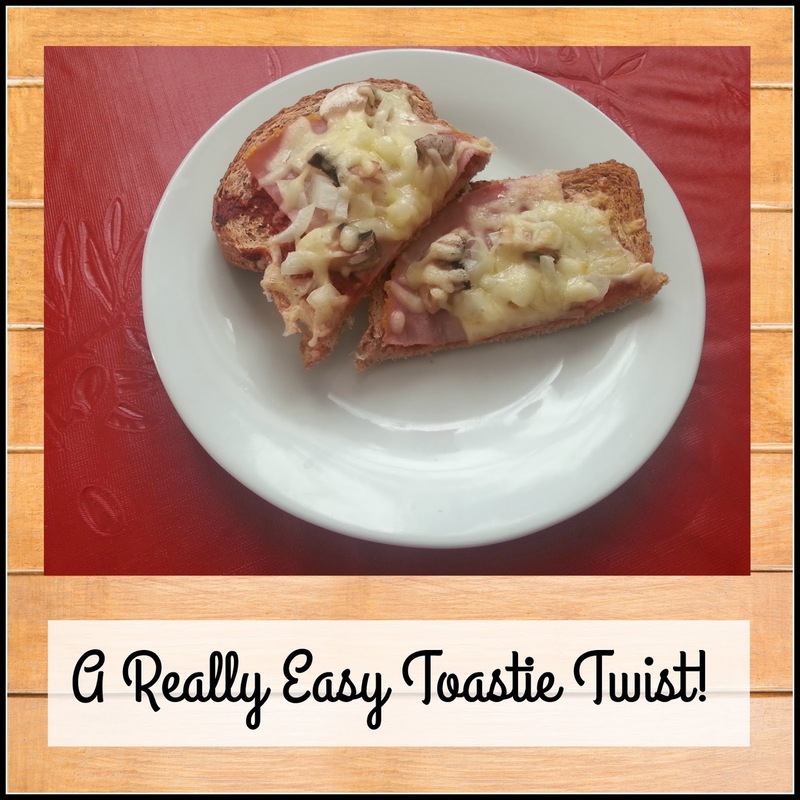 It's a straight forward twist on classic Cheese on Toast. All you need to start you off is grated cheese and tomato puree, the rest is up to you! Here is how I made mine, but you can add or remove ingredients to suit your taste and budget. You can also use french bread, or pitta bread, which makes it more like a pizza. First, toast one side of two slices of bread under the grill. Turn them over and thinly spread tomato puree over the untoasted side. 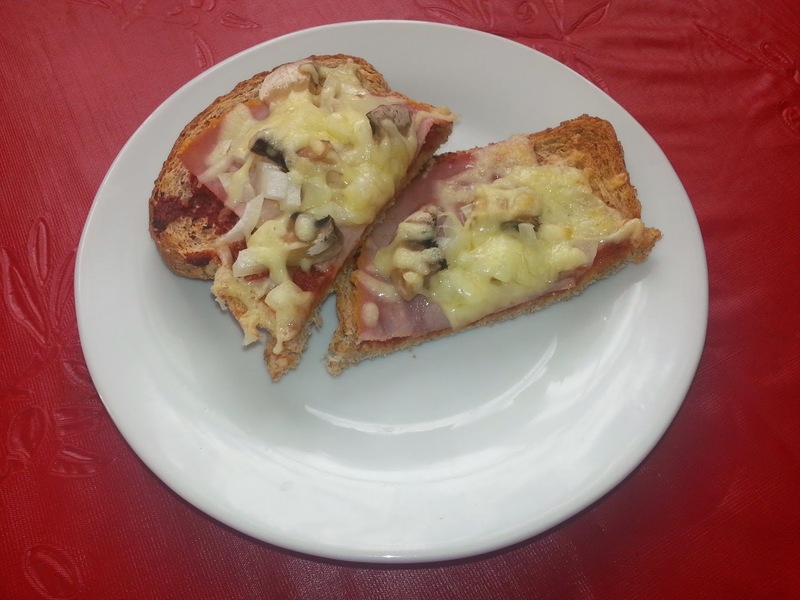 Place half a slice of ham on each bread slice, over the tomato puree. Finely slice one mushroom and spread evenly over the ham. Repeat with about a third of an onion. Cover everything with cheese, as much as you like. Turn down the grill and toast slowly, until browned. Other ingredients that work well include; peppers, cooked sausage or chicken, spring onion, celery or olives.